We want this new Prairie Underground top in as many colors as we can get our hands on! 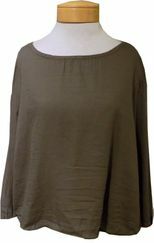 Super light and airy cotton, with an easy roomy fit thru the body. The back has a horizontal seam across the back with gathers, giving movement and room to the body of the top. 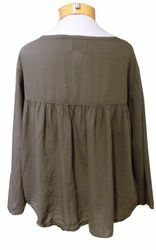 A great top for the warm days ahead, with arm coverage but a cool breezy feel!